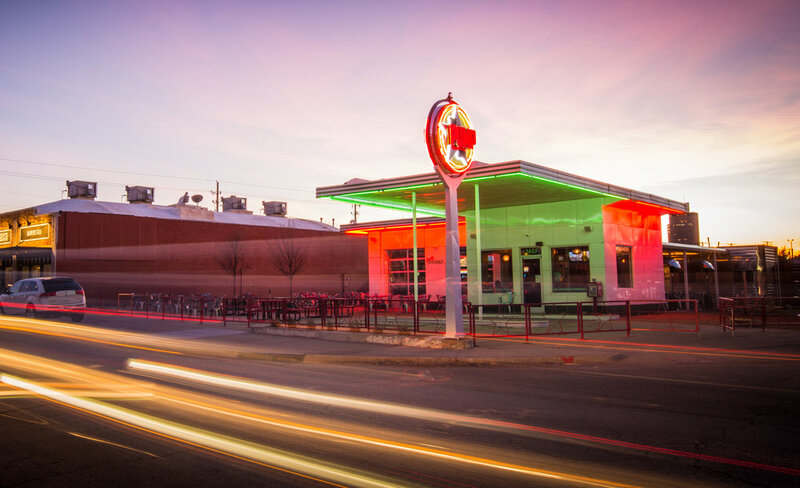 Oklahoma City’s Uptown 23rd District was in its early days of transition from desolation to destination when Ian & Hailey McDermid approached us to help build a brand for the bar they dreamed of opening in a long-abandoned Texaco station on Walker Avenue. It had to honor the history of the location and reflect the funky, fun, tattooed, tiki headed lifestyle of the young owners. 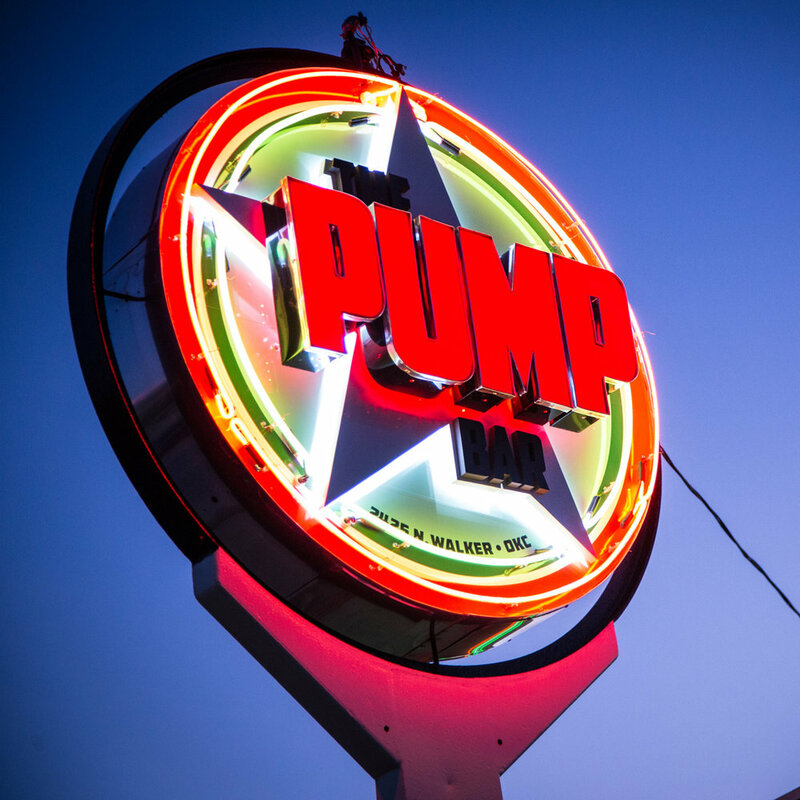 A circular logo was needed for “The Pump Bar” to fit into the station’s existing street signage, so we created a simple yet bold piece in Texaco-inspired colors that would become a neon beacon to summon the city’s young, hip, thirsty populace. We crafted a vintage-style drink menu to complement the diner-style booths and tables, and teamed with photographer Simon Hurst to capture the colorfully controlled chaos of their eclectic aesthetic. 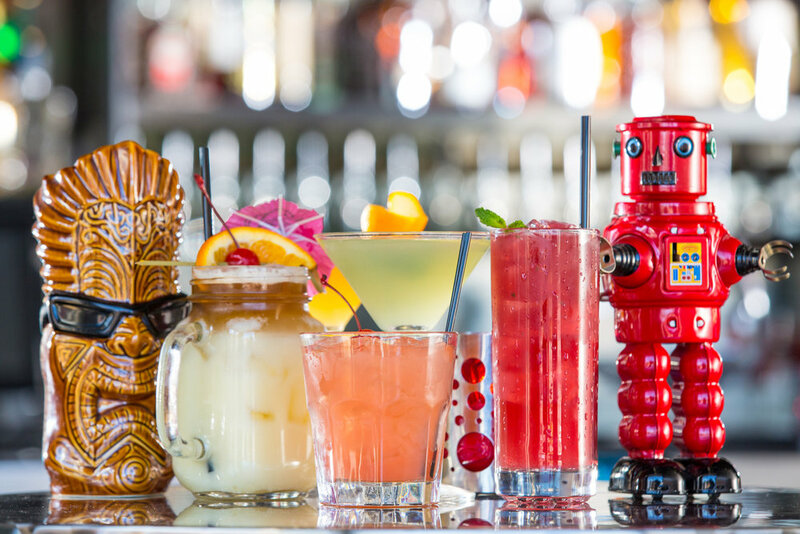 With ‘70s grindhouse movies on the flatscreens and Harry Potter audiobooks in the restrooms, The Pump Bar is a living, thriving embodiment of the creative potential realized through the Robot House brand process.